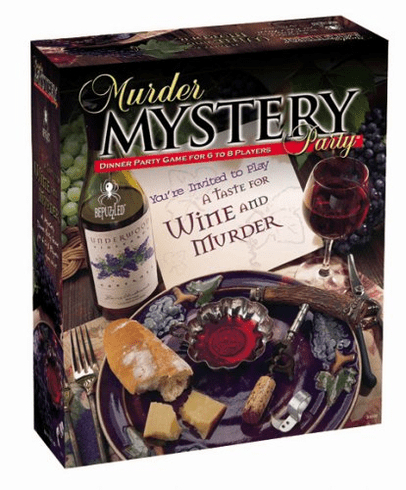 University Games Murder Mystery Party : This annual wine-tasting festival is in full swing when the body of local vineyard owner, Barry Underwood, is found hidden beneath his wine cellar. Comes with a complete party planner, invitations, costume and menu suggestions, clues and more! Mystery dinner party game for 6 to 8 players.